Kerry Sands is a PhD Anthrozoology candidate at the University of Exeter. Her research is entitled ‘Knowing Racing Greyhounds’. 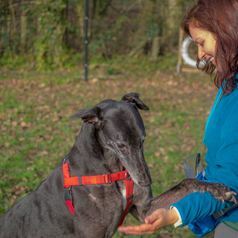 She is also a sighthound training and behaviour specialist and runs Life is for Learning – a professional consultancy service for adopted ex racing greyhounds.